4) We rarely have complaints or warranty issues with GBC tires, very few sidewall blowouts or imperfections in manufacturing. 5) GBC stands behind their products, if there ever is a defect or quality issue we can get it resolved quick & easy. 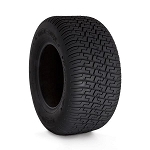 GBC has made a great name for themselves over the years with their quality tires like the Dirt Devil, Dirt Tamer and Gator. In latter years they continue to impress with the Grim Reaper, Kanati Mongrel and Dirt Commander tires. All of which are some of our best selling tires. 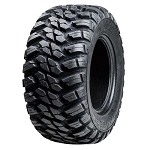 You can ride in comfort and peace of mind when you have a set of GBC tires on your ATV or UTV. Check out these great styles and get a set picked out for your machine today!